I am very excited to announce that I have signed a contract with I. B. Tauris for the first ever history of the practice of exorcism and deliverance ministry in the Church of England, which will be entitled A History of Anglican Exorcism: Deliverance and Demonology in Church Ritual. The book will take the story of exorcism in the Church of England from the Reformation to the present day. Following on from my earlier book A History of Exorcism in Catholic Christianity (Palgrave MacMillan, 2016), which focussed on exorcism in the Roman Catholic church, the new study will apply a similar methodology to the Church of England’s tradition of exorcism. This has largely been overlooked by historians, who tend to assume that exorcism ceased to exist in the established church after 1604. Exorcism in the sense of a liturgical act performed by the clergy only became significant in England after the Reformation; as I showed in my earlier book, liturgical exorcism was not really practised in medieval England, with demoniacs relying instead on pilgrimages, relics, stones and herbs. However, Protestant exiles who had spent time on the Continent during Mary I’s reign brought the idea of exorcism back with them, and the earliest clerical exorcisms occurred early in Elizabeth’s reign. However, Protestants soon became anxious about the practice of ‘conjuring’ (directly commanding) demons, partly because it was practised by rival Catholic priests, and resorted instead to exorcism by prayer and fasting alone. 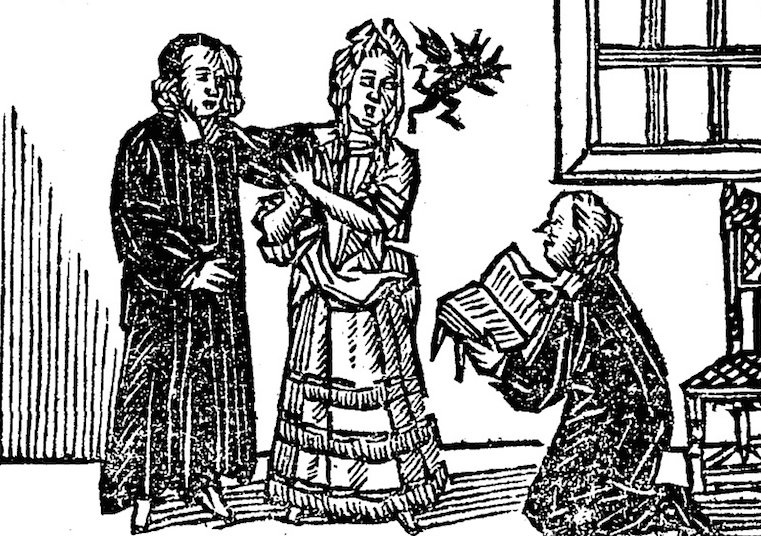 One practitioner of this distinctively Protestant form of exorcism, John Darrell, became famous for his dispossessions until the bishops clamped down on the practice in the late 1590s. In 1604 a canon (Canon 72) outlawed exorcisms without a specific licence from the bishop, and while it is true that no such licence was ever granted after 1604, sporadic unlicensed exorcisms continued in the seventeenth and eighteenth centuries. In theory, Canon 72 remained in force until 1969, but already in the 1920s a small group of Anglican priests led by Fr Gilbert Shaw began experimenting with exorcism. Shaw was a lone voice promoting exorcism as a ministry of the Church of England for much of the twentieth century, although a church report on healing in 1958 drew on Shaw’s expertise and acknowledged the practice. In 1972 the recommendations of a report on exorcism commissioned by the bishop of Exeter were widely adopted across the church. However, an exorcism that went badly wrong in Barnsley in 1974 produced vigorous debate about the future of exorcism, with some calling for it to be discontinued altogether. Archbishop Donald Coggan finally issued guidelines for exorcists at the Church of England’s General Synod in July 1975. Those guidelines, in slightly modified form, remain in place to this day. The contemporary Church of England prefers the term ‘deliverance ministry’ to ‘exorcism’, emphasising the rarity of exorcisms in the true sense. However, deliverance ministry is a significant part of the work of the Church of England, and popular demand for this service is such that each of the church’s dioceses has a specialist adviser in this area. A History of Anglican Exorcism evaluates the extent to which the contemporary church’s practice of deliverance ministry is rooted in its history, focussing on the question of why a church historically opposed to exorcism embraced the practice so suddenly and wholeheartedly in the 1970s. The book asks whether exorcism has a future in the Church of England and critically examines the challenges to the church’s continued endorsement of this controversial ministry. A History of Anglican Exorcism will be published in late 2018 or early 2019. This entry was posted on October 23, 2017 by jacobite.